Professor Hiroshi Kanno received his Bachelor and Master of Engineering and Architecture from the Tokyo Institute of Technology, and Master of Science in Industrial Administration from Carnegie Mellon University. Professor Kanno became Dean of Hitotsubashi ICS in April 2012. He previously served ICS as Associate Dean for Student Affairs and Professor, teaching courses in Independent Research, Operations Management and Problem Solving, and facilitating the MBA Field Study. Before joining Hitotsubashi ICS, Professor Kanno worked in consulting services at The Boston Consulting Group (BCG) for 17 years. His last position at BCG was Partner and Managing Director, where he served as the Asia/Pacific regional leader of BCG's Technology and Communications practice and the Japan leader of the Corporate Development practice. 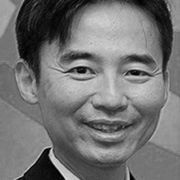 Prior to BCG, Professor Kanno worked as an architect, city planner, and engineer for Nikken Sekkei, Japan's largest architecture and city planning firm.